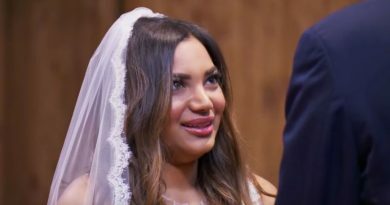 Married at First Sight: Honeymoon Island ends in a cliffhanger this week as Jona Bienko contemplates proposing to Brandin Brosh. Jona takes this journey very seriously and he knows what he wants. Will he pop the question as the season comes to a close? This week, Married at First Sight: Honeymoon Island is all about meeting potential in-laws. Families come to St. Lucia to meet the potential spouses of their loved ones. Things are a little awkward for some. Katie Muller’s parents don’t approve of Eric Acosta right away and things get awkward. Shannon Raddler’s sister is very opinionated and doesn’t shy away from telling it like it is. After a shaky start, Shannon’s family warms up to Kimber Gardner. 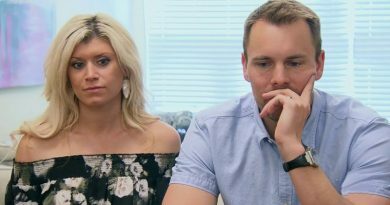 Not every loved one can make it to St. James’s Club Morgan Bay this week on MAFS: Honeymoon Island. Both Jada Rashawn’s parents and Chris Perry’s family don’t make the journey. Chris meets Jada’s parents via video chat on Married at First Sight: Honeymoon Island. Following that, Chris introduces his daughter Bella to Jada (also through video chat). This is a big step for Chris. Jada is the first girl he’s let meet his daughter. Things get serious for Jona Bienko on Married at First Sight: Honeymoon Island this week. With less than a week left, the couples have a decision to make. Jona sits down with Pastor Calvin Roberson to talk about where his head is at. Through conversation, Pastor Cal gets Jona Bienko to admit that he’s ready to propose to Brandin Brosh – a huge step. As it stands, Brandin lives in Mississippi and Jona lives in Colorado. Jona admits that he’s willing to relocate for Brandin. It’s clear that Jona is all in, but Pastor Cal wonders whether or not Brandin feels the same. Before Jona pops the question on Married at First Sight: Honeymoon Island, he wants Brandin’s mom’s blessing. Viewers met Brandin’s mom Susan a few weeks ago when she came to St. Lucia to help Brandin out. Jona gets Susan on a video call and tells her that he’s going to propose to Brandin Brosh. This is where Lifetime decides to cut things. Viewers have no choice but to wait until next week to see how this scene plays out. Brandin’s mom was accepting of Jona Bienko when she met him, but it remains to be seen whether or not she’ll give him her blessing. Next week is the season finale of the Lifetime spinoff. The three-week journey has all been leading to this. 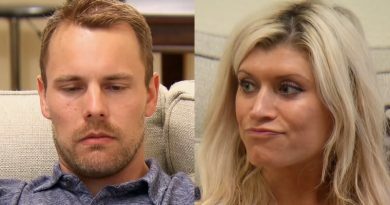 The couples will have to decide whether they want to propose to their partners or leave Married at First Sight: Honeymoon Island empty-handed. Will Jona Bienko propose to Brandin Brosh? Will he leave St. Lucia engaged or heartbroken? Which couples have a legitimate shot at a lasting marriage? Catch the season finale of Married at First Sight: Honeymoon Island Tuesday at 11 PM only on Lifetime.